This company has been leading the development of global search and rescue programs for nearly 30 years, reaching a major milestone with the world's first operational Medium-altitude Earth Orbit Search and Rescue (MEOSAR) system in 2011, and completing all global MEOSAR system installations ever since. In fact, to date, 75 percent of the Earth's surface is monitored by Orolia's MEOSAR systems. Now the company, Orolia, provider of Resilient Positioning, Navigation and Timing (PNT) solutions, announces they have prepared a record nine search and rescue systems across five continents for commissioning through the Global Cospas-Sarsat Satellite Search and Rescue System. 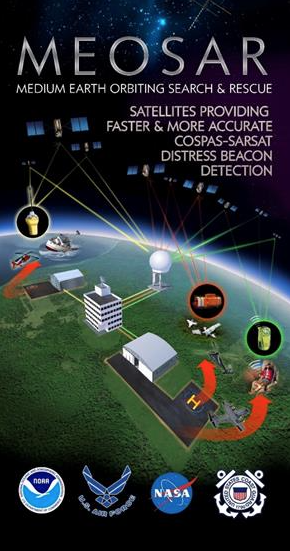 Cospas-Sarsat conducts an annual commissioning process for regional search and rescue systems that are being constructed or upgraded worldwide. This year, Orolia has prepared a record nine global search and rescue systems for commissioning across five continents, which include five ground-based Local User Terminals (LUTs) and four Mission Control Centers. These new, lifesaving search and rescue systems are in line to be commissioned in North America, Australia, Europe, Asia and Africa. Orolia's VP Satellite Search and Rescue Systems, Paul Zweers said that at Orolia, they're proud to achieve a new milestone in the decades of technology innovation that they've brought to global search and rescue operations. They are the leading manufacturer to commission next-gen MEOSAR systems, and this record number of global systems in line for commissioning reflects their ongoing commitment to delivering critical technology solutions, anywhere in the world.